That was a long intro! Now for the fun! 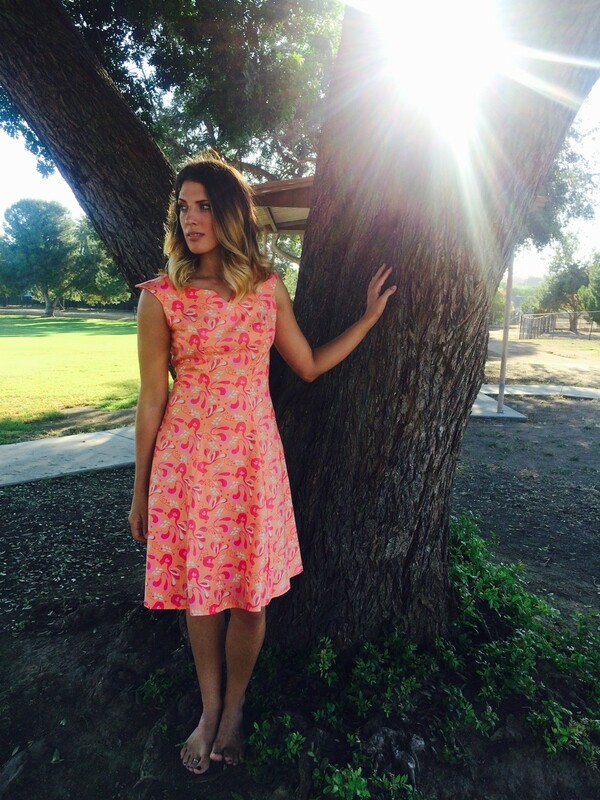 I made middle daughter a cherry dress while she was here using the Violette Fields Ginger Dress. I love the vintage feel and Holly can totally carry off these styles. Plus, she wears every dress I make her! Heck, she loves every dress I make her and wants a closet full! Easy to sew for, easy to please. I am down with that! 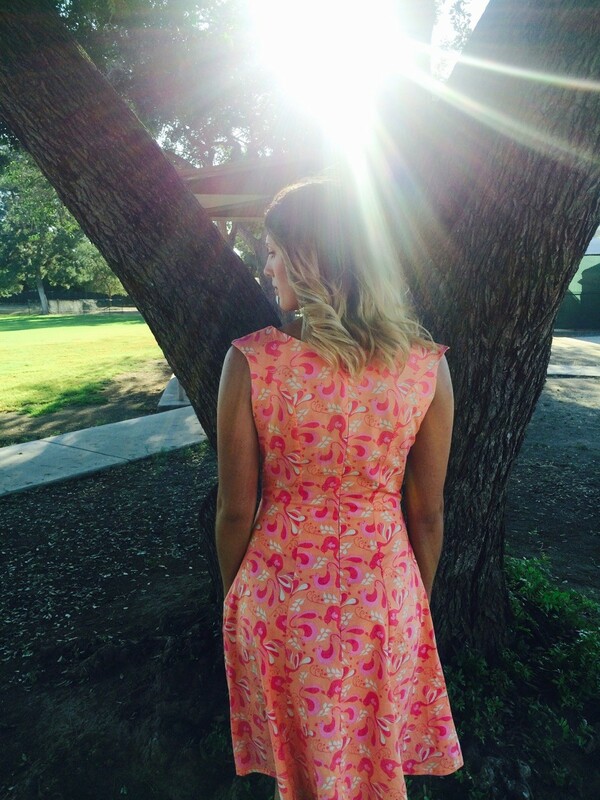 I named this dress Cherry Bomb… Yep, after the John Mellencamp song and well, it’s covered in cherries! I actually got this cherry fabric at Walmart. It is a fun cotton print and fairly decent quality. Initially I was going to use solid red as the accent but found the green mini polka dot on a Joanns visit and changed my mind. 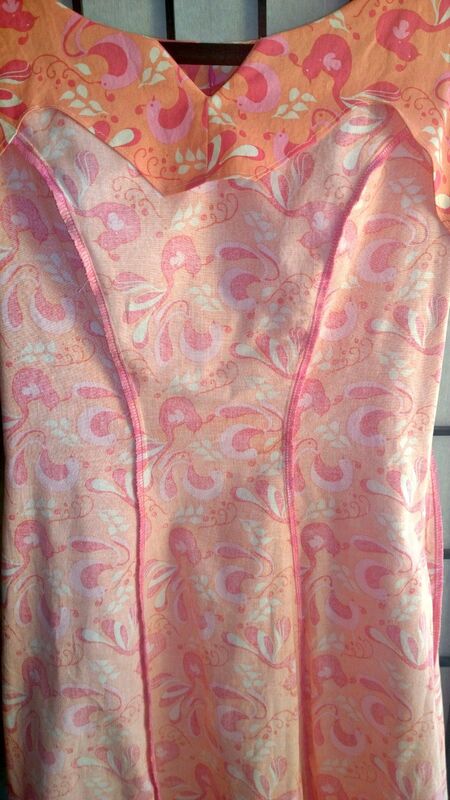 The bodice is fully lined and I used my trusty serger to finish all of the inside seams. 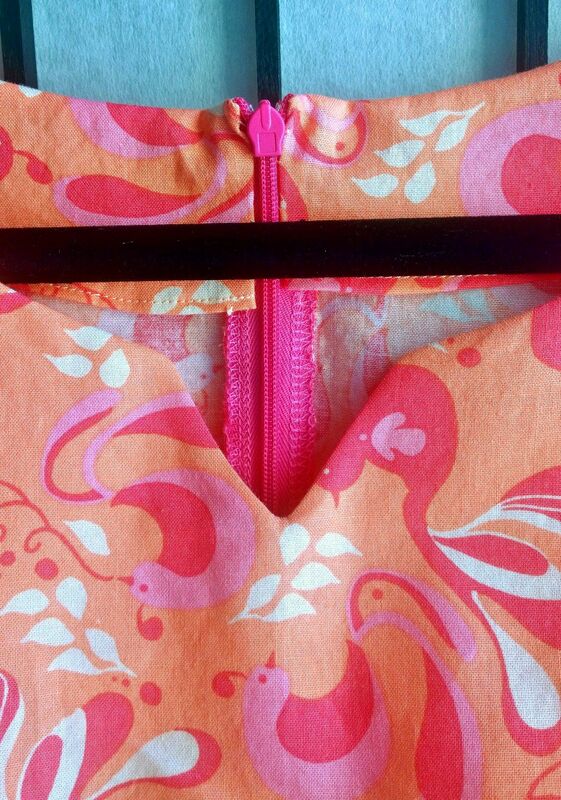 I debated on the zipper, but decided to go with a regular zip vs. invisible because I had one in my stash that would work. I have a shoe box crammed full of zippers and need to use one when I can instead of buy. Does anyone else have zipper stash? I put pockets into everything now because Holly loves them. Sometimes I think she is more excited about the pockets then the dress! 😉 The pattern comes with pockets so it wasn’t any extra work really. One of the things I love about Indie patterns is the sizing. Holly is a tiny girl and whenever I make her a Big 4 pattern I have to do quite a lot of fitting. They don’t even make her size it seems! Many of them start at an 8, some at 4. She is a 0-2. This bodice fit her PERFECT right out of the envelope. I did change one thing on the dress. The actual pattern is halter style with the straps tied behind the neck. When she tried it on I decided to make them into straps for 2 reasons. #1- Stability- this bodice isn’t going anywhere! #2- I could place them exactly to hide her bra straps. All in all I would say this is a highly successful dress. I can’t wait to make her another! Too bad it is rainy and cold in CA right now though. It will be a while before she can wear it! I also made her a quick pair of PJ bottoms while she was here. And I added pockets! Holly is a girl after my own heart- we both love Dr. Who so I used Tardis flannel. I did not tell her but I have JUST enough left to make a pair of jammie shorts too. I am going to make a knit top to go with them and mail them to her for her bday. Shhhhh…. I have completed 4 items in 2016 already. All baby dresses for family members. I miss making baby dresses so these were pretty fun! I used McCalls 5791 but added the ruffles and waistbands. By the way, I have added a little “scorecard” on the left side of my blog so I can keep track of how many items I sew, how much stash I use, and how many miles I run for 2016. I am actually not sure yet if I am going to count yards or pieces on the stash count though. I started to measure my stash fabrics but got tired after 17 yards so I may just go by piece! Hope your first week of 2016 has been good! Now I think I will get back to sewing! 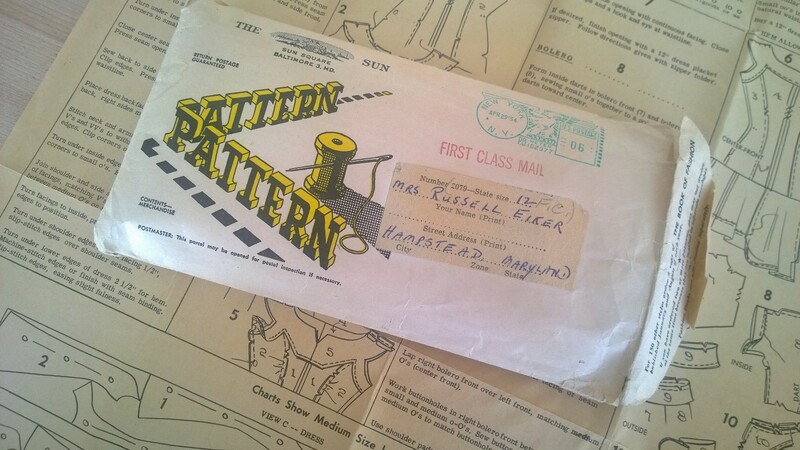 In my quest to write this post I wanted to learn about vintage mail order patterns and along the way I learned quite a bit and thought I would share some highlights. 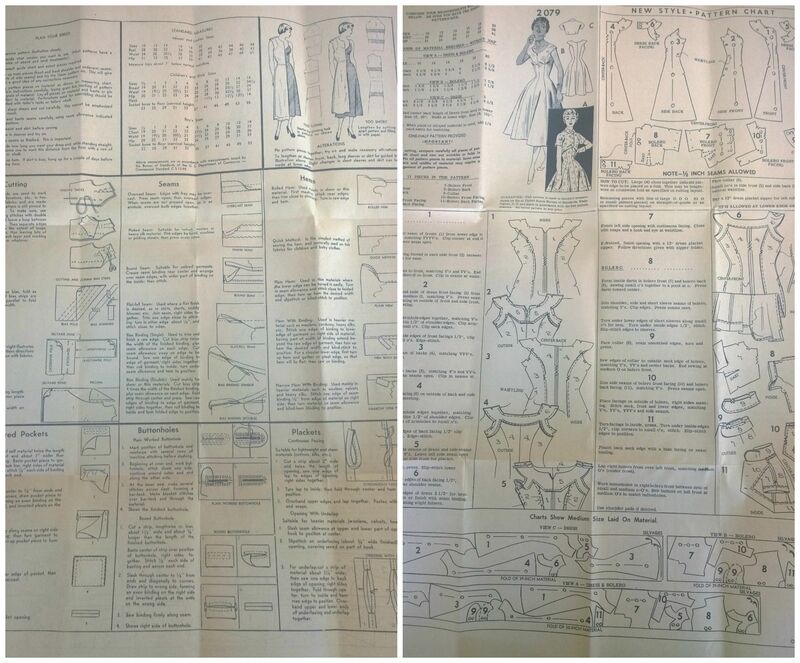 William Jennings Demorest and Ellen Louise Demorest began the home sewing pattern industry in 1860. They held fashion shows in their homes and sold the patterns. Sounds just like some of the “in home party businesses” we have today like Tupperware, Pampered Chef and Scentsy! This turned out to be the beginning of the Mme. Demorests’ Emporium of Fashion and an fashion empire! 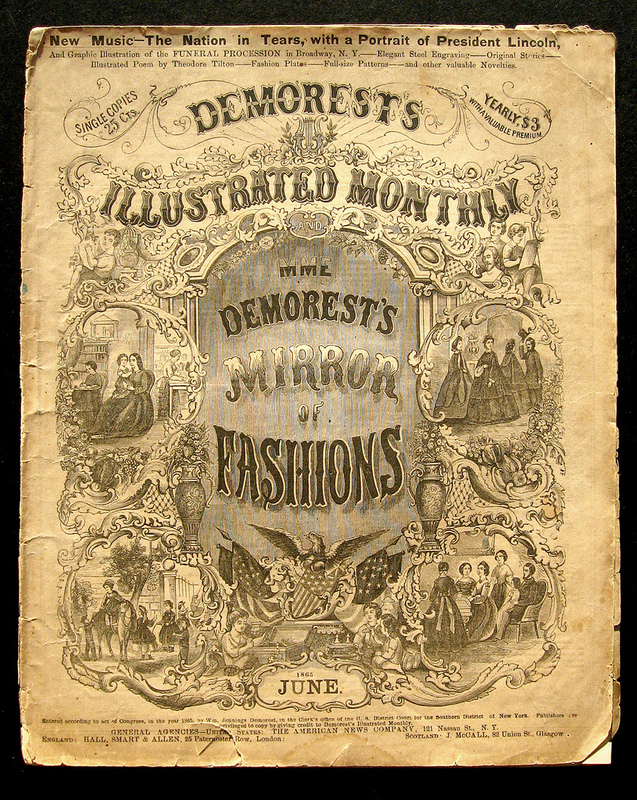 The Demorests published a magazine called “The Mirror of Fashion.” It listed hundreds of different patterns, most available in only one size. One size ladies and gents! The knowledge those sewists must have had to grade the patterns to their bodies! You also had to have some skills- NO directions were included! Some other little tidbits I learned about William and Louisa… They launched FIVE magazines and started a cosmetics company. They built a fashion manufacturing and merchandising empire from Louisa’s paper pattern business. William ran for Mayor of New York City and was a Prohibition Activist. 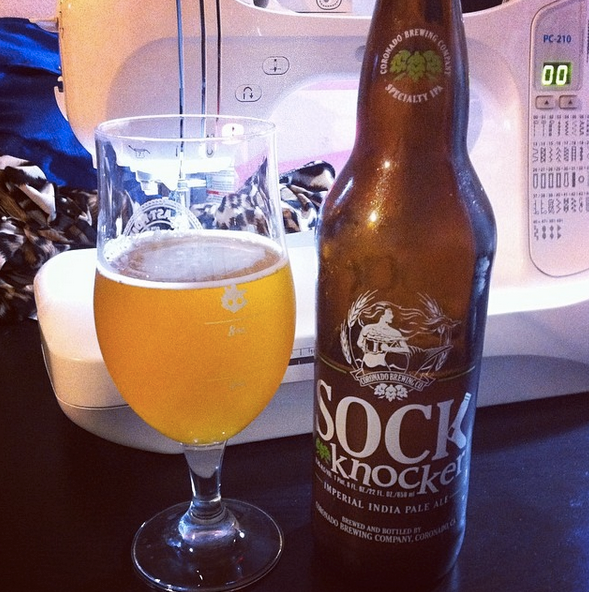 (I guess he would not approve of my “Drink and Sew” nights! Ebenezer Butterick was a few years behind the Demorests with their pattern company and in 1870, a Scottish tailor names James McCall started his pattern company. Throughout the years many other pattern companies came and went- and we are left with the Big 4- Butterick, McCalls, Vogue and Simplicity. 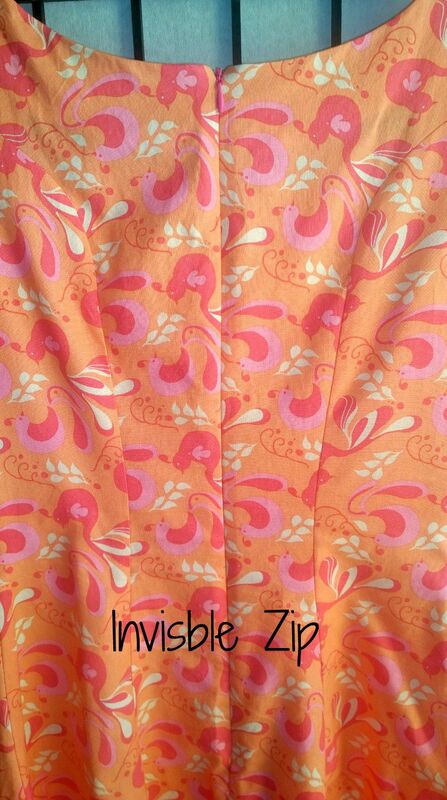 And several others like Kwik Sew and Lekala… and LOTS in Indie pattern companies. YAY! Wow, we have a LOT of choices when it comes to patterns. Mail order patterns are just that! you would spot a pattern in a magazine or in a Book of Fashion and order it sent right to your home. Unlike most of the patterns of today your pattern came in one size. The vintage ones I own have no lines… no notches and no markings. Well, they do have large and small circles cut out so you are not completely flying blind! Now, I am not really here today to give you a history of mail order patterns but I found it really interesting- especially since I love the fashions of certain eras and if I can get my hands on a pattern I am thrilled. I am even more thrilled when I can make it up and wear it, although in this case, I made it up for my eldest daughter. This is not my first foray into vintage pattern sewing. I made myself this green dress a few years ago for “Fall for Cotton.” The girls thought I looked like Mrs. Teapot. I have also made my middle daughter quite a few of the same dress. My favorite is this floral one here. What I really enjoy doing is taking a vintage pattern and making it relevant enough to wear today. 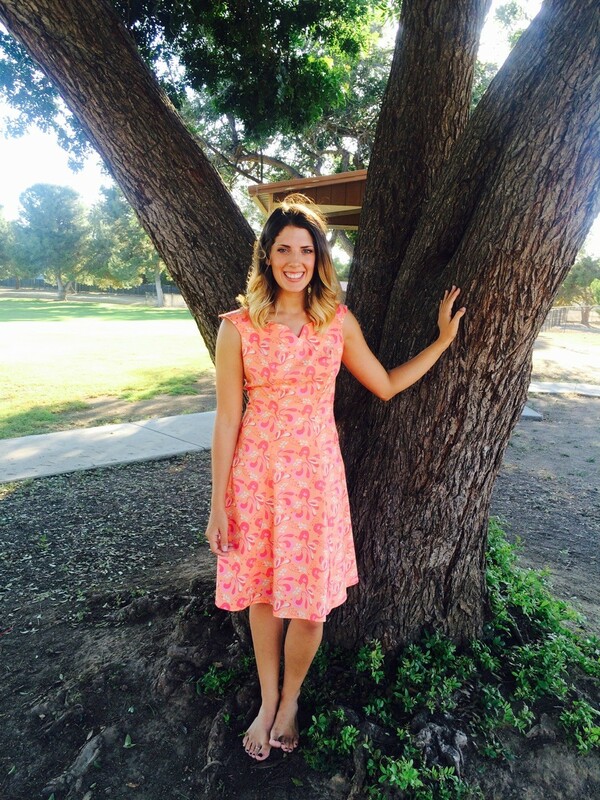 I really feel like I succeeded with this 1954 Mail Order dress pattern. I find something so special about handling something that was owned by someone long ago. This pattern came from The Baltimore Sun which looks to be a Newspaper. It still has the address of the lovely lady that ordered it and the postmark is pristine. Apr 29, 1954. Tell me that is not the coolest thing ever! The pattern had never been used or at least that was what it looked like to me so I was VERY careful. No pins. I just weighted the pieces down and cut out the dress and then promptly put the pieces away. The directions are all contained on one page. One side for directions and one side is basically a sewing lesson. The dress went together amazingly easy. And it was a near perfect fit! I took it in slightly at the waist and the shoulder neckline area had to be taken in about 1/2″ on each side. Other than that- it was a dream to make. I made the dress so it fell right above the knee. Length is important in keeping it young and current in my opinion. The neckline is so very feminine. When I am perusing patterns from this era I see quite a bit of the notched neckline. I serged the inside- I know I should probably have french seamed it all but I had bright pink thread in my machine and went for it. Challis I would have french seamed- the cotton was thicker than a challis so serging seemed like a better option anyway- and again- bright pink thread was in my machine! All in all I am SO very pleased with this dress. Kadi is as well! She wore it to her friends wedding the day after completion and has assured me she will get a ton of wear from it. She wants another one soon!